Sometimes, dinner pops up when you least expect it! Last week, I was busy getting my new computer all set up and before I knew it, everyone was asking what was for dinner! Dinner was “supposed” to be meatloaf, but I had forgotten to make the loaf and put it in the oven an hour earlier. 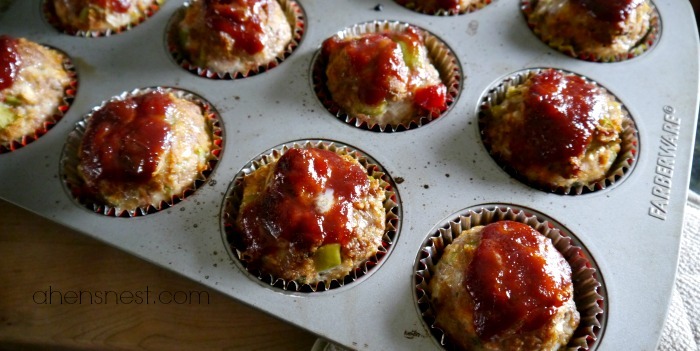 So, Mini Meatloaf Muffin Cups were just right — quick prep and only a 25 minute bake time meant everyone was happy in no time. I served two mini meatloaf cups per person, alongside boiled smashed potatoes and broccoli. The leftovers were delicious the next day for lunch, with a salad of fresh greens. The recipe makes a dozen meatloaf muffins. They would freeze and reheat in the microwave beautifully, if you can manage to keep them out of your family’s tummy’s long enough to hide in the freezer! 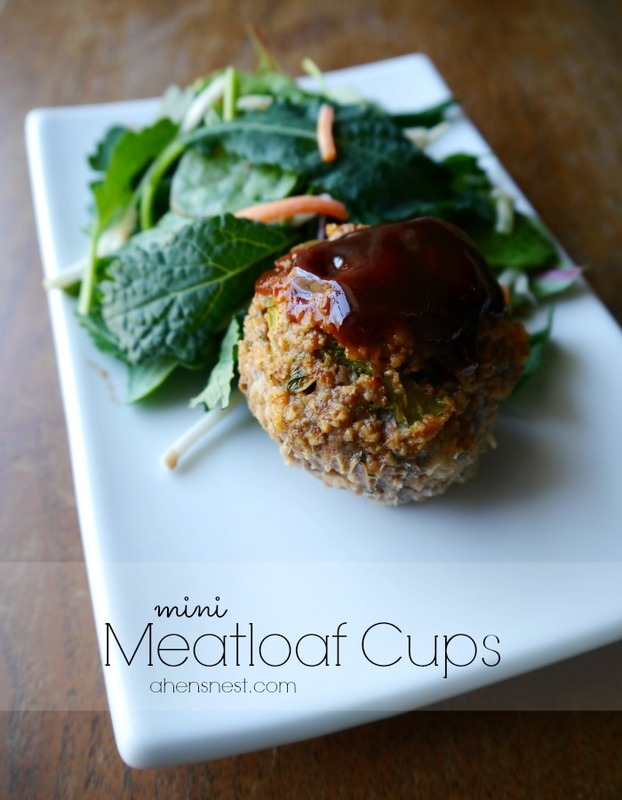 Make delicious mini meatloaf fast, when you bake your meatloaf in a muffin tin! Kids love this new take on meatloaf! Preheat oven to 425 degrees. Place foil cupcake liners in a 12 cup muffin tin and spray lightly with non-stick cooking spray. In large bowl, mix together onion, peppers, bread crumbs, Grill Mates, parsley, egg, milk, salt and pepper. in small bowl, combine BBQ sauce, worcestershire sauce and salsa. Pour half of mixture into bread crumb mixture. Add ground beef and mix lightly until well combined. Divide meat mixture into 12 balls and place into prepared liners. Spoon remaining BBQ mixture evenly over meat cakes. Place on center rack in preheated oven and bake for 20 - 25 minutes, or until meat cakes are cooked through. For even more flavor, add a dollop of Country Bob's All Purpose Sauce to each meatloaf cup as you serve -- Mmm! Back to School in Style Sweepstakes // Win 1 of 10 $100 Gift Cards! Hearty Beef Stew vs Beef Stew with Barley on #RecipeRehab! Those would be perfect for the kids who like meatloaf, but not a lot of it! These look wonderful! I love the idea have making them so small and saving on baking time. This would also be great for entertaining buffet style. Thanks for the recipe! Meatloaf has and will always be my favorite meal. I have never made in muffin tins. Love this! My children and I love mini meatloaves, but it’s been quite awhile since I’ve made them. Thanks for reminding me about them; I’ll be making them soon.